“The job is first, then comes the rest. The patients—especially a sick child—can’t wait,” said the doctor with a humble smile. Last year, Dr. Papoyan embarked on a journey in professional development when she headed to Yerevan for a month as part of FAR’s Continuing Medical Education (CME) program. The trainings at the rehabilitation and intensive care units of Surb Astvatsamayr Medical Center were of utmost importance to her, and she found them to be extremely useful. “It’s different to ask for advice from a distance than to get hands-on experience. It would be nice to have such an opportunity every year,” she said. FAR’s CME program enables doctors from Armenia and Artsakh to enhance their professional development through month-long trainings with specialists in Yerevan. Dr. Papoyan also highlighted the importance of the 93 continuing medical education credits that all participants receive once they complete CME. Continuing education credits are now a requirement for practicing physicians in Armenia, and programs like CME help them fulfill such requirements through practice. “The training opened up many professional topics, and I also built a network of colleagues and friends. Besides, I was very accepted by the staff at Surb Astvatsamayr. They were very supportive and responsive,” the doctor said. “I am a mother myself and have raised two children. However, [aside from maternity leave] I have never missed a day of my job. I know that one should assume full responsibility for newborn babies in particular. The work is intense but rewarding. Children are our future, and the healthier they are, the better off we’ll be,” concluded the doctor who enjoys the love and respect of the community she serves. “She is kind, very disciplined, just an excellent person. 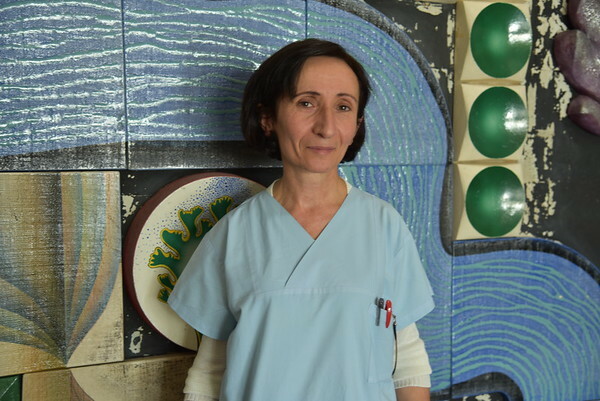 And what’s more, a trustworthy and clever doctor who enjoys the love and respect of everyone,” said Berd resident and patient Astghik Buduryan, who explained that she voiced the thoughts of many from Dr. Papoyan’s community.